Farm level measures under the spotlight | Get Pelletwise! 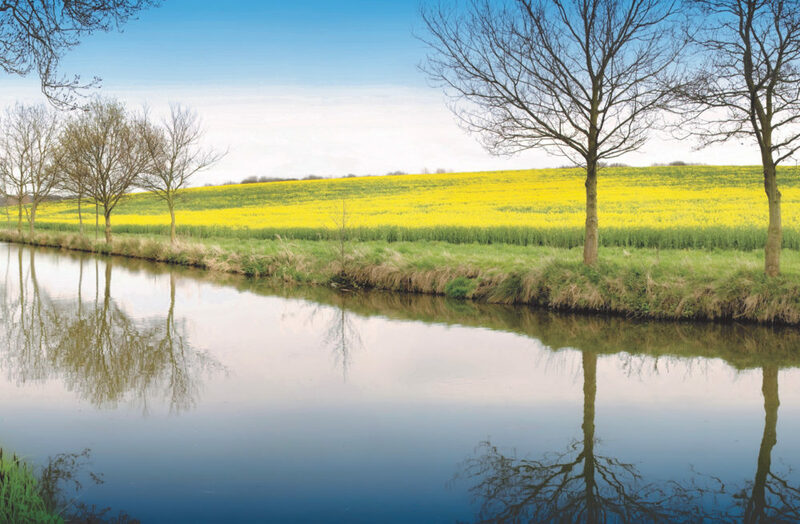 Water companies are required to report on the progress of measures to prevent metaldehyde reaching watercourses through farm-level approaches, by next spring, reports the Metaldehyde Stewardship Group (MSG). “It’s acknowledgement from our regulators of the vital role that catchment management plays in addressing the issue of metaldehyde, although it may still not be sufficient in all circumstances,” explains Affinity Water’s Head of Water Quality, Fiona Waller, speaking at an MSG hosted briefing. The news comes at the critical point of the agricultural calendar for slug pellet applications to protect establishing autumn crops. “Catchment management comprises a number of activities that prevent metaldehyde reaching ditches, streams and rivers, closer to the source of application,” she says. “This includes collaborative activities between the water companies and the MSG to promote the guidelines updated in 2010 to restrict the overall dose of metaldehyde applied and the necessity to ensure the slug pellet active ingredient is not applied when soils are at full water holding capacity, when drains are flowing, or when heavy rain is imminent. In a joint statement from the Drinking Water Inspectorate, the Environment Agency and Defra the dependence on the close work between the water industry and other stakeholders is acknowledged, with catchment management cited as ‘a vital part of any future approach to protecting our waters’. “The Metaldehyde Stewardship Group has seen a pioneering approach to pesticide stewardship evolve since the Group first came together to address the issue when it first emerged,” says MSG Chairman Dr David Cameron. Defra is currently working with the DWI and Environment Agency on proposals for future metaldehyde control, indicating that as a result of discussions with stakeholders to date, these will include regulatory options, but will also accommodate catchment management work. Fiona Waller explains that the outcome of the water company catchment management reports will inform policymakers. “There are many locations where metaldehyde based slug pellets deliver a good, effective and reliable pest control solution, but there are some parts of the landscape where it’s use is more of a problem. “What we’re looking to see is a situation that maintains access to metaldehyde for the vast majority of farmers but must acknowledge there will need to be restrictions to metaldehyde application in some fields,” she adds. Autumn 2016: Final season to generate evidence of benefits of catchment management prior to development of guidance for water industry business plans. Spring 2017: Submission of water company reports to Drinking Water Inspectorate detailing the benefits of activities delivered to date. Review of effectiveness of Autumn 2016 measures.